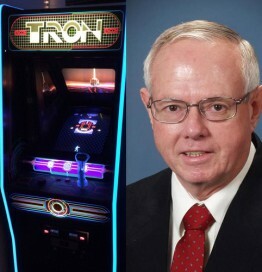 After studying computer science at University of Illinois at Urbana-Champaign, Bill Adams would go on to develop some of the most influential games during the “Golden Age” of the arcade. As an employee of Bally/Midway, Mr. Adams held the positions of programmer, designer, manager, and director on a number of notable games. Highlights during his time at Bally/Midway include working on Kickman, Satan’s Hollow, Spy Hunter, and as the designer for the now legendary Tron.